One of Africa’s finest musical artists, Eddy Kenzo heads to Paris, France as he unveils the music video for his 2017 smash hits single titled “The Heat.” Ready for some steam, fire and flames, fellas? Once “The Heat” dropped, there was no limit to the heat it brought to dance floors and social circles across the continent of Africa. This way, Eddy Kenzo just owed it a duty to fans to complete the rout with a music video that connects the visual dots. 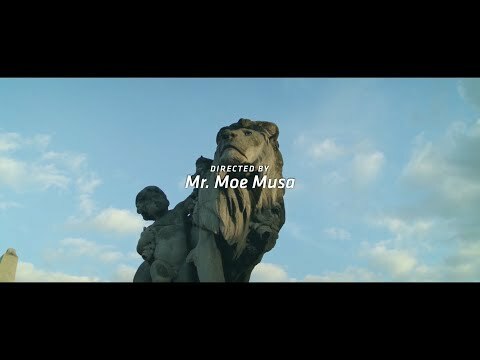 This way, he sought the direction of Nigerian director-extraordinaire, the famed Mr Moe Musa for the a stunning motion picture with an abundance of stunning damsels who burst through on the slick and sick dance moves you shouldn’t even try at home. In the end, the crispy-fresh and squeaky clean visuals continues the beautification of an already highly-decorated musical career of the Masaka, Uganda-born star whose real name is Edrisa Musuuza. However, he has been able to mastermind several other hit projects including “Shauri Yako,” “Soraye,” “Mariaroza,” “Zigido,” “Mbilo Mbilo,” and a host of other masterclass bangers. You do want to get right into “The Heat” of this cupid offering with your boo or bae for an explosive weekend yet ahead. Simply stream, download, then share your thoughts and opinion in the comments section below.